Forget Lewis Hamilton versus Nico Rosberg — the real rivalry in this generation of Formula One has always been Lewis Hamilton Vs Sebastian Vettel. Both drivers are four-time world champions of the sport they have dedicated their lives to. They, along with Spaniard, Fernando Alonso, are arguably the most gifted F1 drivers of the post-millennium era. Consequently, motorsport fans from around the world will be delighted to see the pair lock horns again in the 2018 season. There has always been plenty of needle between Hamilton and Vettel. 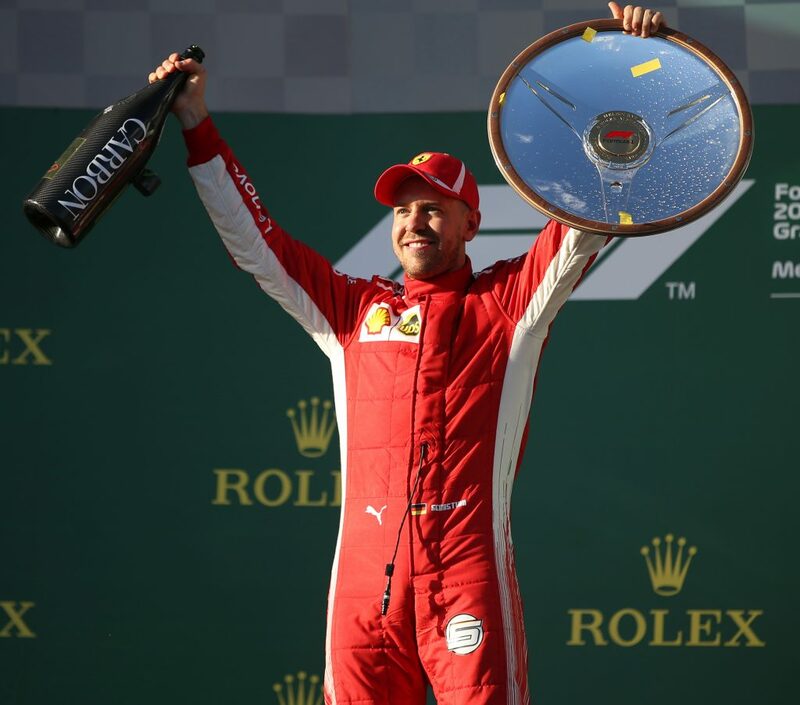 The fact that Hamilton has spoken of attempting to equal Michael Schumacher’s win record of 91 race victories clearly rankles with Vettel, who idolised compatriot Schumacher as a fledgeling driver. With both drivers now four-time world champions, the race is most definitely on to become the most successful F1 driver in the 21st century. Hamilton even admitted he had considered retiring from the sport prior to renewing his battle with Vettel at the front of the grid, bringing back the fire in his belly to contend for future titles. Hamilton is the clear favourite to win the 2018 World Championship. Even Ferrari and Sebastian Vettel have conceded that Hamilton is the clear favourite to win the 2018 World Championship. Whether that is mind games or not, nobody knows, but there is no doubt that the Mercedes car – and engine – has been a dominant force for many seasons now. A Mercedes driver has won the last four World Championships, with Ferrari not seeing any of their drivers taking the title since 2007. They haven’t won the Constructors’ Championship since 2008 either. There’s no doubt that Vettel believes that Hamilton’s recent successes have been due to having by far and away the best car. That’s yet another cause for the needle and friction between the pair. On the final day of testing before the 2018 campaign went into full swing, Hamilton was ominously quick. Interestingly enough, Hamilton set his quickest time in testing using the medium tyres, which tend to be much slower. Nevertheless, there is a genuine hope that the performance of both Mercedes and Ferrari engines are inching closer in terms of performance and reliability, giving Vettel a fairer crack at the whip. Sebastian Vettel celebrates his victory in the Australian Formula One Grand Prix. There is certainly cautious optimism around the Ferrari team that they may be able to achieve something wonderful in 2018. The mood is cautious largely because they’ve failed to follow up impressive back-to-back seasons for a decade, so recent history is not on their side. Nevertheless, the team have dedicated many hours to redesigning and understanding their 2018 car. They’ve followed suit with Mercedes by adopting a much longer wheelbase and, combined with their higher rake, this is a highly aggressive move by the Italians, which is probably the only way to break Mercedes’ dominance. 2017 was certainly a season to build on for the Maranello. With five race victories – their biggest haul for seven years – and clear improvements in single-lap qualifying pace, there is no doubt that the foundations are there for Ferrari and Vettel to shine in 2018. Vettel also has a more than able deputy in the shape of Kimi Raikkonen, who prepares to embark upon his 16th season in F1. 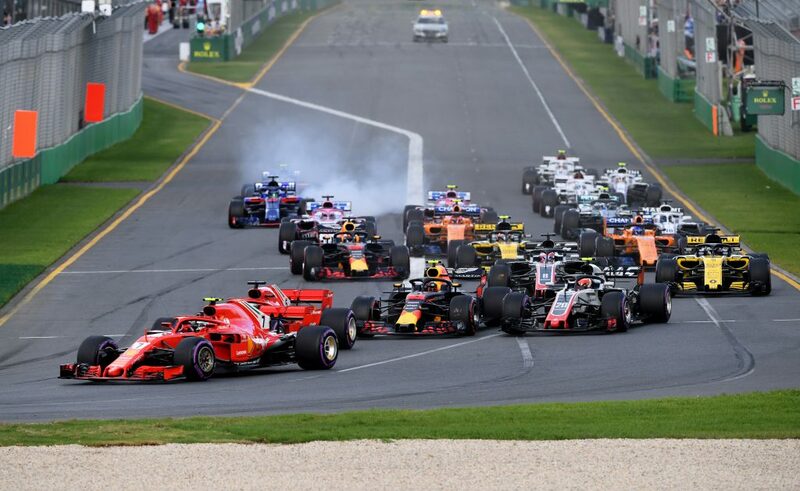 The season opener at the Australian Grand Prix in Melbourne has whetted the appetite of motor racing fans already, with a race filled with controversy and an unlikely victory for Sebastian Vettel. Lewis Hamilton was in full control of the race prior to Romain Grosjean’s breakdown in the middle of the track, forcing the race officials to impose a ‘virtual’ safety car, essentially restricting the speed of the cars on the circuit. Hamilton had already made a pit stop prior to this safety car period but Vettel hadn’t – and he and Ferrari took their chance with both hands. The season opener at the Australian Grand Prix in Melbourne has whetted the appetite of motor racing fans already. Generally, pit stops carried out with the virtual safety car in place are up to ten seconds faster than those made when cars are operating at top speed. So, while Hamilton was speed-restricted on the track, Vettel pitted and managed to rejoin the race ahead of Lewis, much to his bemusement. Hamilton tailed Vettel for the remainder of the race, but the Albert Park street circuit is notoriously difficult for overtaking and the German held on for a morale-boosting victory. You don’t have to go back far at all for the last verbal clash between Hamilton and Vettel. After qualifying for the Australian Grand Prix, the pair were involved in a heated press conference. Their frosty relationship showed no signs of thawing when Hamilton admitted he was “waiting to put a good lap in” to “wipe the smile” off the face of Vettel. 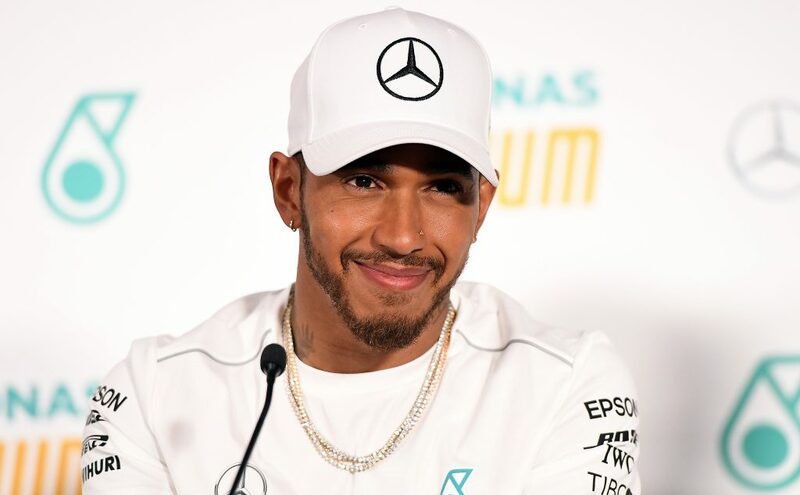 The German then responded by saying Hamilton was “free to have a party” after qualifying but suggested he and team-mate Raikkonen could “have a party tomorrow” and so it proved. Last season, Hamilton branded Vettel “a disgrace” following an unfortunate collision in the 2017 Azerbaijan Grand Prix. Hamilton labelled Vettel’s driving “disgusting” after the German had driven into the back of his Mercedes and swerved sideways into him in one of three restarts to a turbulent race. Who will reign supreme in Abu Dhabi? Come the end of the 2018 season, it’s still hard to look beyond Lewis Hamilton for his fifth world title. The setback at the Australian Grand Prix is likely to be just that, with the Mercedes car still the most powerful and reliable across all types of circuits. Where the battle will be won and lost between Hamilton and Vettel is the mind games. If Vettel can tap into Lewis’ psyche and question his mental toughness, it could become a long drawn out battle to the end in Abu Dhabi. Throw an improving McLaren and Fernando Alonso into the mix and the ever-improving Haas team and Formula One is en-route to its most competitive best once again.